I could give you a long explanation as to how the current methods for sales and marketing music only work for the very few all of whom have developed their fan base under a completely different system and how for everybody else all the accepted ways of selling and marketing are wrong but I feel I’ve said enough about that already. The recent report that over 70% of vinyl is bought by superfans points to the problem. Not enough general music lovers are being reached and tempted to buy music they may like but not know well if at all. My hope with the ScotPop Music Exhibition Centre is that it will be a good way of reaching people interested in Scottish music and wanting to hear more. It has long been known that if you put good music, well presented in front of people they will still buy it but as footfall in shops has declined that has become harder and harder. Online browsing simply doesn’t work the same way. I had hoped the National Museum would take up the idea for their exhibition and while they declined Waterstones had already said they would be happy to support Scottish music. 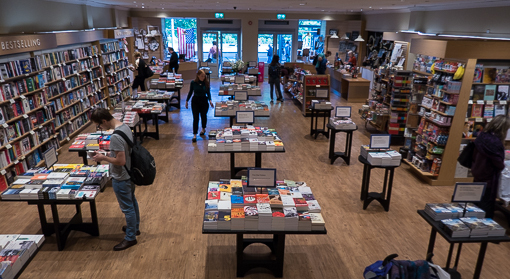 What the idea needs is customers used to browsing and open to new things so we simply could not have done better than have Waterstones on board and from June I will be curating a selection of newer releases along with some older ones in a space on the ground floor. Whatever happens in the future I have no intention of competing over new releases when the playing field is not level. Put quite simply it is only fair to our customers that we offer them the same formats, at the same time for the same price. To say artists and labels are disingenuous with their “indie only” releases is to put it mildly. Most but not all offer these indie releases to the fan base with no mention that they will also be available in shops and before the shops even know about them. After months of trying to persuade fans to buy directly all of sudden come the week of release labels and bands suddenly remember you can also buy their release in a shop and encourage folk to do so. Even worse is when the indies only release has some extra from the label that the shops don’t get or when sales are so good that there aren’t enough of the limited format to go round all the shops and they get the numbers they have ordered cut back. Avalanche is committed to giving customers the best deal and making sure fans get the version of a release they would want. This goes to the very top and was very obvious with the new Arctic Monkeys album. When vinyl first started to recover but before everybody jumped on the bandwagon we had to stock all the Arctic Monkeys albums on vinyl five at a time to cope with demand. It helped we also had some great original promo posters for sale. Even though we weren’t covering the album we had a lot of enquiries from old customers asking if we would be getting the silver vinyl. The answer was no, silver vinyl was only from their label Domino Records. A few others were looking for the gold vinyl but that was only from the band’s pop-up shops. 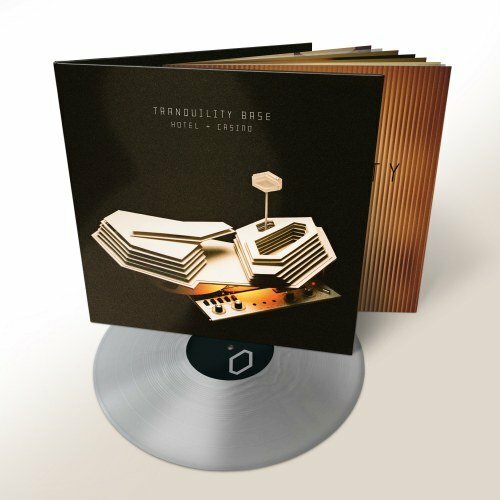 There was an indies only clear vinyl but truth is more than half of all vinyl sales were silver and gold. A few superfans wanted to buy all three or even all four including the black vinyl. Of course at the other end of the scale there are different issues but Avalanche’s focus will now always be on reaching new people with Scottish music and building up a base of those people for the future. The stocking policy will simply be based on whether the music is good enough to tempt people to spend their hard earned cash and whether I think I can do a good job promoting it.